I had the pleasure of working with Bakery on Main awhile ago when I initially discovered their absolutely delicious gluten free True Bars (you can view that HERE). This time instead of snack bars, I was lucky enough to be introduced to their gluten free line of oatmeals, namely their two newest flavors that were just unveiled at the recent Natural Products Expo West in Anaheim CA! 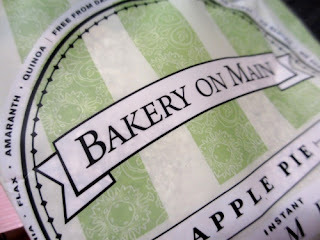 "Bakery on Main was founded in 2003 with a simple philosophy: food that's good for you should taste good too. It all started in a small bakery of a natural foods market on Main Street in Glastonbury, Connecticut. Founder Michael Smulders listened to his Celiac customers complain about the taste of many of the gluten free options available to them. He thought that no one should have to suffer because of a food allergy or other special dietary needs, and made it his mission to create products that were good for them but taste like they aren't." As mentioned above, Bakery on Main products range from their soft and chewy granola bars and fruit and nut True Bars to their line of instant oatmeals to even granola and fiber powder, most of which are gluten free, and all of which are certified organic and Non-GMO Project Verified. 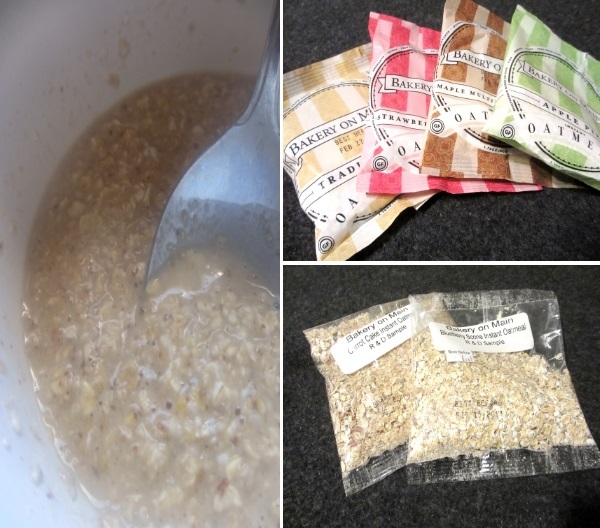 Not only was I given their two new unveiled flavored oatmeals for this review, but I was also provided with their entire line of instant oatmeals as well! Bakery On Main Gluten Free Instant Oatmeal is made with whole grains which includes certified gluten free oats, amaranth and quinoa plus chia and flax. It's also high in fiber, dairy and casein free, low sodium, Kosher OU Parve with no trans fat or cholesterol! Flavors included Traditional, Strawberry Shortcake, Maple Multigrain Muffin, Apple Pie with their newest editions, Blueberry Scone and Carrot Cake. I've never really been the biggest oatmeal lover but just recently I can't get enough of the stuff! I think it's because I never liked it all 'chunky' for lack of a better word. Enjoyment of oatmeal for me is when it's nice and 'runny,' which is how I recently discovered I like it. You oatmeal lovers know what I'm talking about. I'm also pretty picky when it comes to oatmeal. The standard for me is anything maple flavored, so you can imagine the first flavor devoured I tried was the Maple Multigrain Muffin. This flavor I really enjoyed! Next up was the Carrot Cake, then the Blueberry Scone and finally the Traditional (in that order). While I think Bakery on Main has quite a great product on their hands, I will admit the rest of the flavors in the line that I tried (I still have Apple Pie and Strawberry Shortcake left to taste test) just weren't for me. Due to my sensitive palette, I found the flavors to be too overpowering and sweet. That being said, I really DO think this line of oatmeals had some great flavor and texture; it was just a little too overwhelming for me personally. 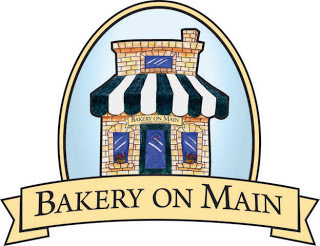 While most of the oatmeals in their line weren't my favorite, Bakery on Main is still a fabulous gluten free company, both in product and in customer service! Disclaimer: I was provided Bakery on Main's full line of gluten free instant oatmeals in order to facilitate this honest review. All opinions expressed above are 100% mine and mine alone unless otherwise stated. Please do your own research before committing to purchase a product or service as your opinions may vary. I'm like you, not a fan of oatmeal at all and so far haven't found a company or brand that made me change my mind....maybe this is it?? Well, that was one heck of a review I'd say. So, I guess I'm the odd ball because I do love oatmeal, and in flavors too. I love maple oatmeal. Now oatmeal marshmellow cookies are really good and with raisins. I love it when they have pieces you can taste like when you go to Jewel sometimes by the bakery they have that on a plate. I can't remember ever seeing that in any bakery I ever went. WEll, sounds to me like you had a interesting tasty day! I love oatmeal and the more flavor the better so I will definitely be trying this product out. I think that Blueberry Scone and/or Maple would be a hit in my house. All of the flavors sound delicious! I normally eat plain, steel cut oats. it might be nice to mix them together to buffer some of the sweetness and add a little flavor to my plain oats. Thanks for posting! I wouldn't have known about them otherwise.